Compared to digital channels, mail is an unsaturated channel that until today has been generally inaccessible and lacked personalization. Mailjoy is the easiest tool to reach your customers with mail that's relavant and timely to them. 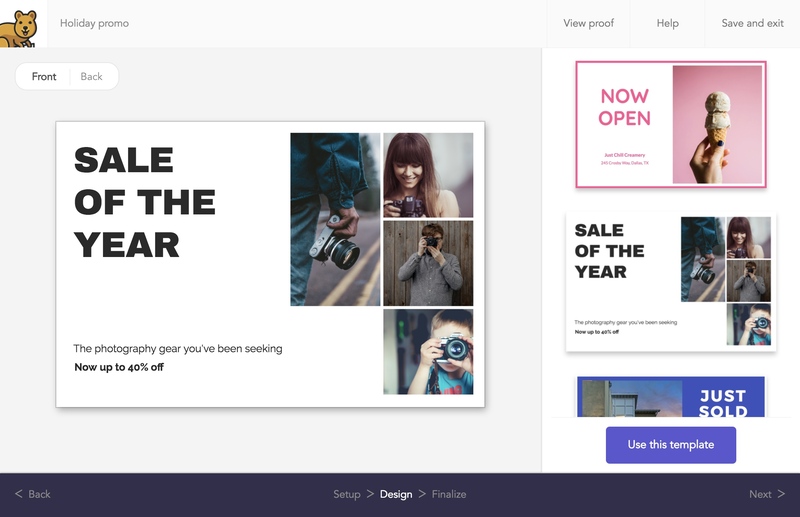 Create campaigns in minutes to welcome customers, reengage inactive customers, promote a sale, or more! 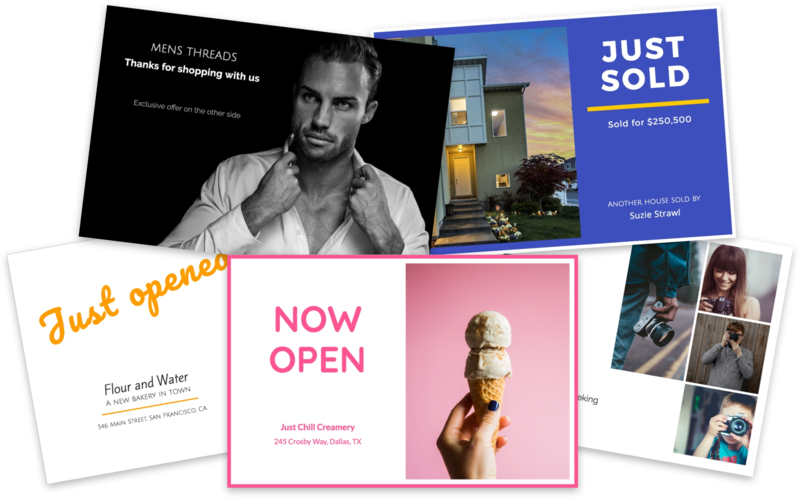 Creating campaigns takes only minutes with our easy to use postcard design tool. Customize one of our many free templates or upload your own design. 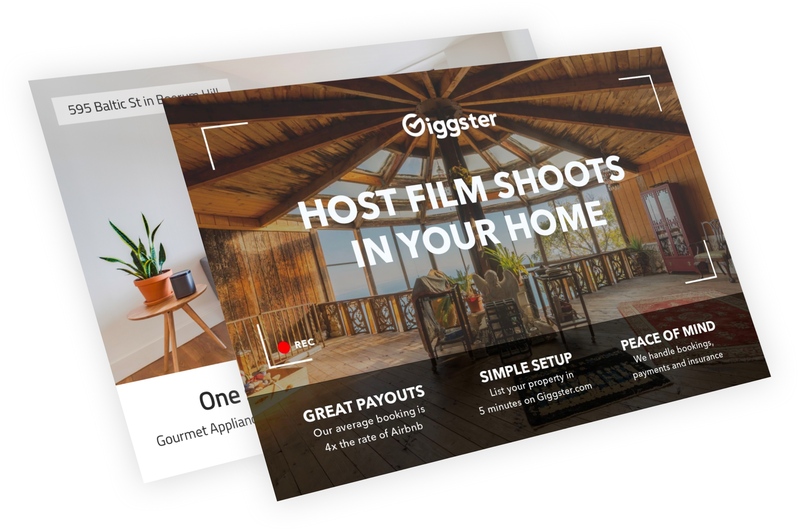 You can even personalize each postcard with your customer's data such as their first name or a custom discount code. 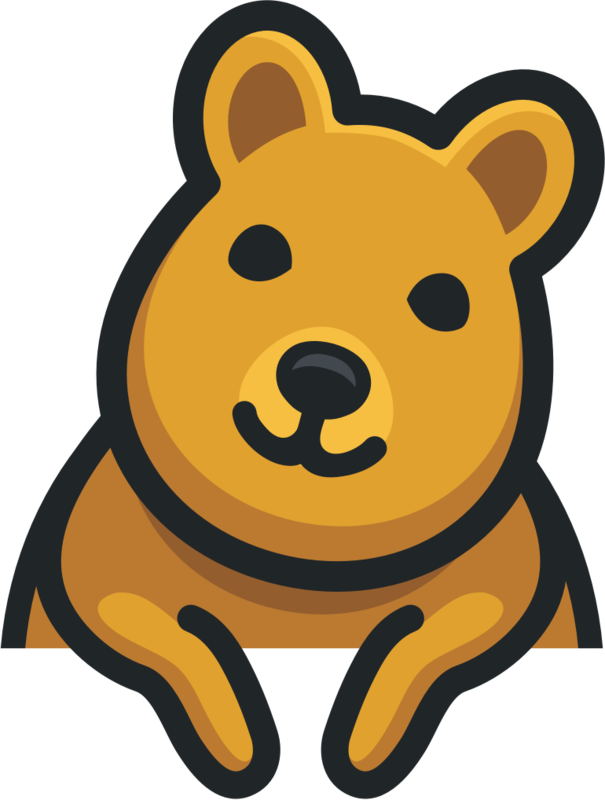 Mailjoy automatically builds mailing lists with your Shopify customer data. 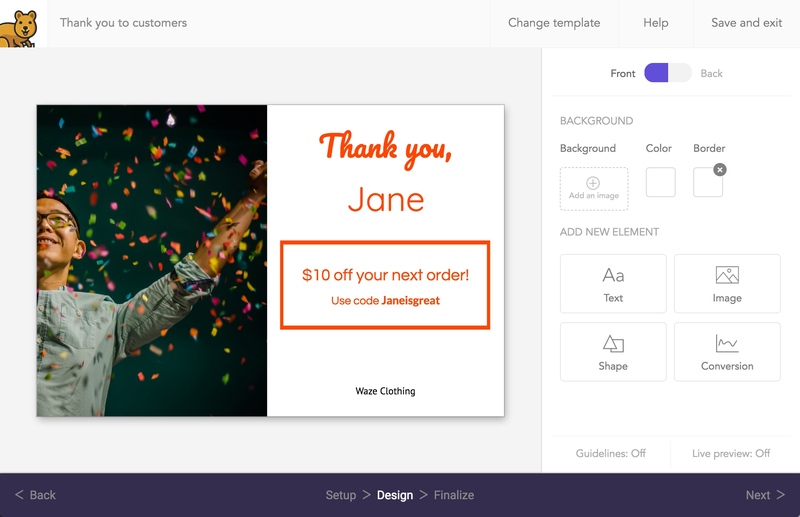 When you add or update customers in Shopify, they'll appear in Mailjoy. 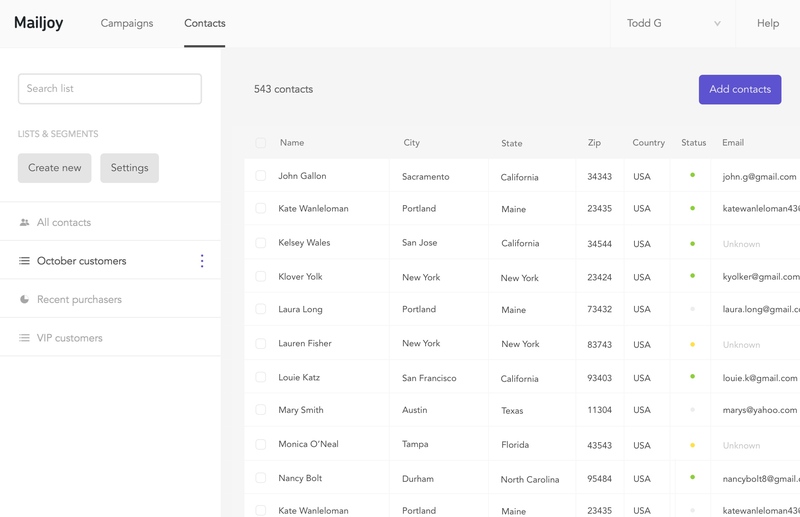 You can even segment your customers to create precisely targeted mailing lists based on their order activity, tags, and other Shopify data. Watch the delivery status of each postcard as your campaign reaches mailboxes across the country (US addresses only at the moment). 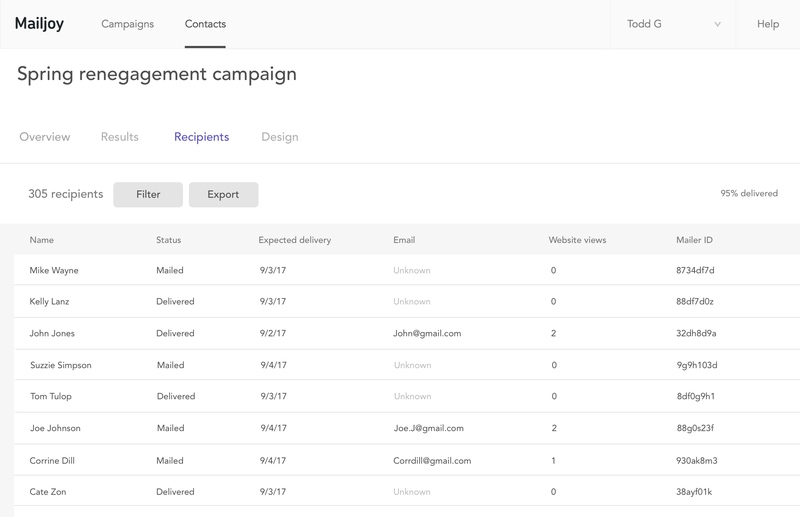 See real-time results come in with conversion tracking so you know exactly who engaged with your postcards. We professionally print each postcard on 120lb paper with full color on both sides (UV coated front). Each postcard is mailed within two business days via First Class postage to ensure delivery occurs within 2-4 business days of mailing. We currently offer two postcard sizes.